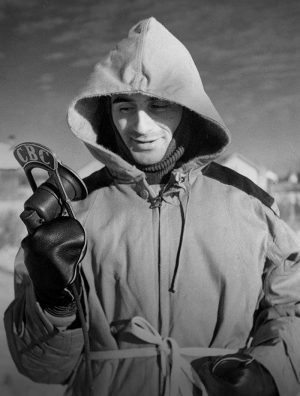 As a journalist for CBC Radio, Peter Stursberg (1913-2014) became famous as the voice of the frontline. With the help of a mobile recording truck, Stursberg reported on the Canadian invasion of Sicily, the liberation of Holland and the Allied entry into a devastated Berlin. 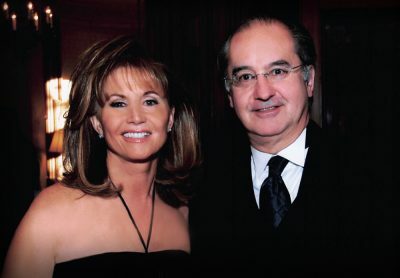 His on-the-ground reportage helped Canadians understand the human and political cost of the carnage unfolding overseas. In honour of his contribution to Canadian journalism – and to Canadian history – Carleton University’s School of Journalism and Communication has established both the Peter Stursberg Foreign Correspondents Lecture and the Peter Stursberg Award in Conflict Journalism and Media Studies. Through the generosity of his children, Richard Stursberg and Judith Lawrie, the lecture and award will honour the legacy of this adventurous and prolific journalist who was Canada’s last living war correspondent from the Second World War. Each year, the Peter Stursberg Foreign Correspondents Lecture will showcase the world’s most influential foreign correspondents. The 2017 inaugural lecture was delivered by BBC Chief International Correspondent Lyse Doucet at the Canadian War Museum, which is partnering with the School on the lecture. 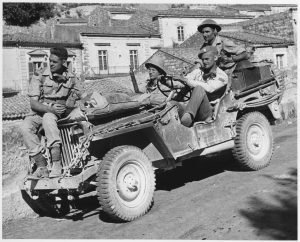 Alister Fraser, Ross Munro (Canadian Press), Dave McLellan, Peter Stursberg – Sicily, July 1943. In addition to the lecture, the Peter Stursberg Award in Conflict Journalism and Media Studies will be awarded each year to an outstanding student in the Master of Journalism program to undertake a thesis or Master’s Research Project on a subject related to conflict in media. 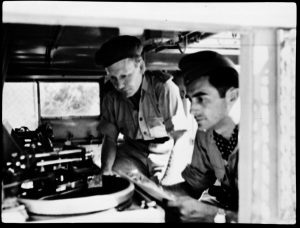 CBC personnel making sound recording – A. W. Holmes or Alex McDonald, Peter Stursberg. These two initiatives will highlight the importance these journalists play in shaping the history of Canada, and the world, by providing eyewitness accounts of unfolding events. By offering them a stage, as well as financial support, the School of Journalism and Communication is supporting the production of journalism that is essential to our democracy. Janine di Giovanni, a Senior Fellow at Yale University’s Jackson Institute of Global Affairs and a Professor of Practice, Human Rights. Moderated by Rita Celli, the host of the CBC Radio program Ontario Today. Read about the lecture here. Lyse Doucet, BBC’s Chief International Correspondent. Moderated by Paul Kennedy, the host of the CBC Radio program Ideas. The Peter Stursberg Lecture is Established. Through the generosity of his children, Richard Stursberg and Judith Lawrie, a lecture and award was established to honour the legacy of Peter Stursberg. He was an adventurous and prolific journalist who was Canada’s last living war correspondent from the Second World War. The School is pleased to collaborate with the Canadian War Museum to offer the Peter Stursberg lecture. As Canada’s national museum of military history and one of the world’s most respected institutions for the study and understanding of armed conflict and its effects, the Canadian War Museum is the ideal venue for this informed discussion, and exploration of conflict, past and present.